In this special feature article, Sharon Lim and Titus Zheng bring focus on a wartime Japanese imperial army officer during the Japanese Occupation in Singapore and his contributions to the welfare of the local Cathedral community. Looking at St Andrew’s Cathedral, one can see many traces that the Second World War has left behind. The Coventry Cross behind the wooden pulpit is made of the nails from the ruins of the medieval Coventry Cathedral in England which was destroyed by heavy bombing when the German Luftwaffe attacked the city in November 1940. It led the Nazis to add a new word, “coventrise” into their vocabulary to signify widespread destruction. Looking at the Lord’s Table at the East end of the Cathedral, there are two large silver candlesticks which also have a wartime connection. Following a closer peek at the inscription of the two candlesticks, one will realise that they were given to the Cathedral in memory of the men who lost their lives during the sinking of two British warships, the battleship HMS Prince of Wales and the battlecruiser HMS Repulse on 10 December 1941 off Kuantan. The sinking of these two ships were a turning point in the Japanese’s military campaign as there were no longer any British warships to defend Malaya in this theatre of war. Upon hearing news of the surrender from a Colonel at around 4pm on Sunday 15 February 1942, the Bishop of Singapore John Leonard Wilson proceeded with holding a service at the Cathedral. Despite the uncertainties that lay ahead, Bishop Wilson designed the Evensong Service for his congregation as one of praise and thanksgiving. In Bishop Wilson’s words, this particular service was one of the “most moving and impressive services he had ever attended.” While many would assume that this would be the last service conducted at St Andrew’s Cathedral before the Japanese Occupation, the church continued worship services every Sunday from 1942 to 1945. Such preservation of order was an unexpected surprise for the Church leaders during the war, who expected more opposition from the Japanese. Pennsylvania’s Wharton School from 1929 to 1931. Founded in 1883, the Brotherhood of St Andrew is an international lay Christian religious organisation with roots in the Episcopal Church of the United States. He later became part of the Brotherhood International Council in Japan and was a member of the Nippon Sei Ko Kai, the Anglican Church of Japan. Like many other Europeans after the Fall of Singapore in 1942, Bishop Wilson was not exempt from internment at Changi Prison. Whether it was coincidence or God’s merciful intervention, Ogawa was appointed as Director of Education and Officer in Charge of Religion Affairs. Being in this position enabled Ogawa to secure the release of three Anglican clergymen during the Japanese Occupation. remain in Changi Prison so that younger clergy like Adams and Hayter could remain free to continue their ministry. Stepping up to the role of a Good Samaritan, Ogawa and another officer sought to shield the children from Changi Prison. They took the children to their residence at Tanglin Road. Despite questioning from the Kempeitai (Japanese secret police), Ogawa did not bow under pressure and extended protection over the children until he sent them on the exchange ship Asama Maru bound for East Africa. Due to Ogawa’s cordial relations with the clergy in Singapore, he was eventually transferred out of his religious education portfolio and later posted to Sumatra, Indonesia on 1 May 1943. In the same year, Bishop Wilson, Reverend Adams and Reverend Hayter were interred at Changi Prison as the popularity of the Cathedral and the use of English during services were perceived by Japanese authorities as a threat. Without Ogawa’s intervention, the Church would not have been able to enjoy 13 months of relative freedom with minimal interference from the Japanese after the Fall of Singapore in February 1942. Following Japan’s surrender in September 1945, it became clear that the Church in Singapore owed a great debt to Andrew Ogawa, the Anglican Japanese officer. The Church in Singapore was reasonably treated by the Japanese – no church buildings were closed or re-appropriated for other usages unlike St John’s Church in Ipoh which became a sauce factory during the war. 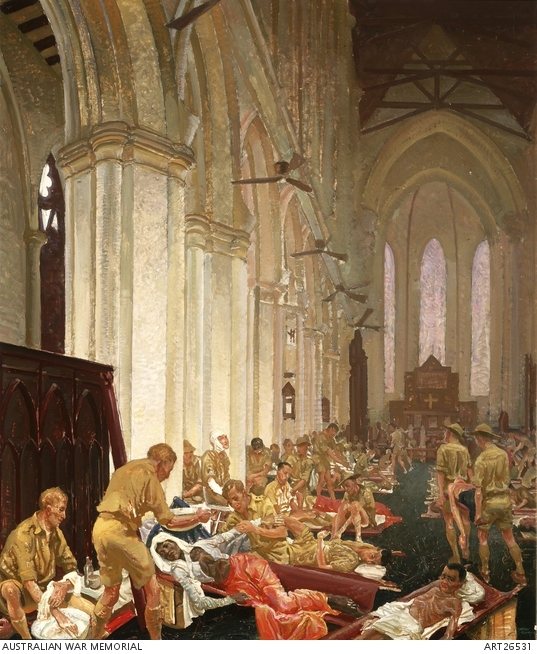 When the British recovered Singapore, they noted that the Church was in a better state compared to other Japanese-occupied areas in Malaya and Burma, where many churches were destroyed or severely damaged by invading Japanese forces. Ogawa and his wife went on to have five daughters, and he eventually became a Professor at Tokyo University. He remained a faithful Christian, taking an active role in the Anglican Church of Japan and his local congregation in Tokyo. 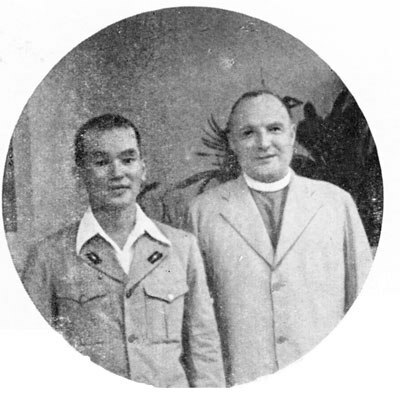 Since his departure in 1946, Ogawa made three return visits to Singapore, which included a meeting with Bishop Wilson for a B.B.C documentary.